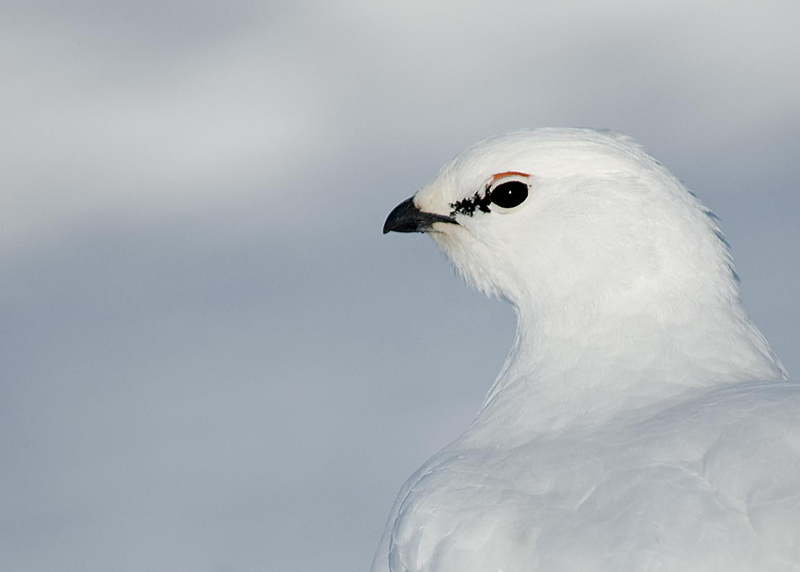 Rock Ptarmigans are recognized as the chicken game bird found in the regions of Arctic. These species are circumpolar by nature. They like to inhabit the grounds and get them acquainted to different types of plumages. They can be easily spotted in the cooler parts of Alaska and Greenland. They can however be categorized as the best dwellers of the tundra region. These species originally belong to the domain of Nunavut. 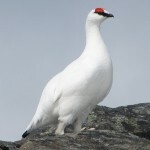 It is recognized as a game bird in the states of Labrador and Newfoundland. For three years of its life, it stays in the Arctic. In Iceland, they take the meat of these birds as a vital part of their diet. Foraging of these species is very restricted. One can spot these species primarily in the Polar Regions. 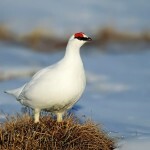 They also prefer to dwell in the Arctic but can also be found in the regions of Alaska and Canada. Other places of habitat include European nations such as the Scandinavia, Greenland, Finland, and Russia. 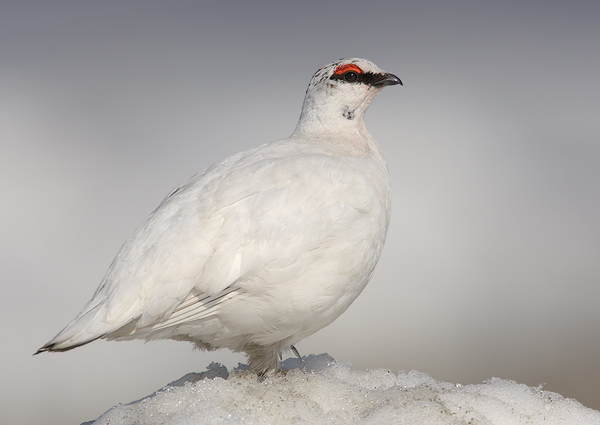 Color of Rock Ptarmigan: These species tend to change their color depending on the season. They also have the tendency to disguise themselves. They become white in the months of winter except for the black line along the eyes and tail. In the summer, months they get darker. Male counterparts have white colored stomach and wings with a grey colored back while the females have brown and grey feathers over their body. 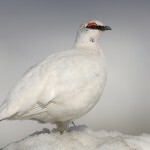 Size of Rock Ptarmigan: These species are 34 – 36 cm long with a gap of 60 cm. 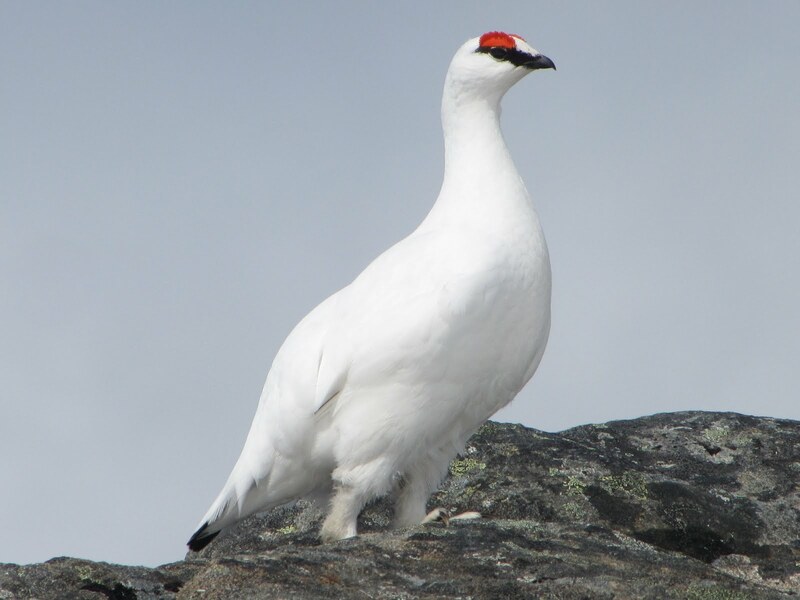 Tail of Rock Ptarmigan: These species have square shaped tail. 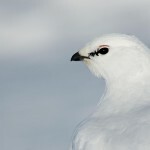 Legs of Rock Ptarmigan: They have feathered legs that keep them warm and thus help in walking in the snow. During winter months, they like to inhabit the Tundra regions. These species tend to fly short distances in quest of food. In winter, both the males and females live separately. These species are very energetic by nature. They are omnivorous by nature. They like to have catkins, birch, willow buds in their diet. In addition to this, they also feed on leaves, flowers, twigs, berries and seeds. The younger ones like to have small pests and insects. These species remain very isolated by nature. 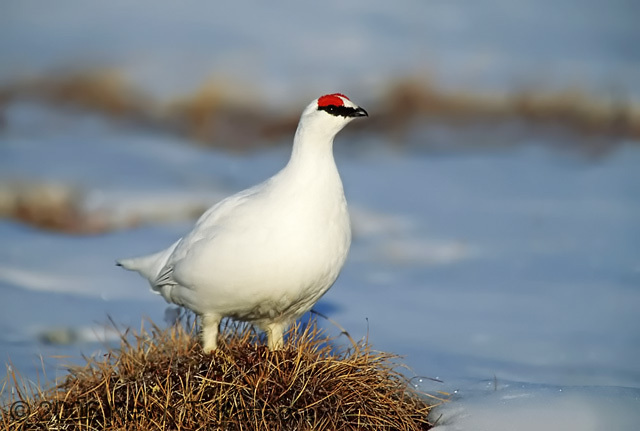 One can spot these species in North America, Tundra and the Arctic. They always like to live in the remote areas which have enough cool and are dotted with bushes, thickets and willows. In order to withstand the changing season and disguise from predators, these species change their skin color. These birds can fly straight from a sitting posture and do not really need a runway. They have legs that are feathered and that helps them in walking in snow. They also have black stripe along their eyes that acts as a sunglass fortifying them from snow. In fact it reduces the effect of the solar radiation emissions. These species dig holes in snow to save them from the effect of winter. The male counterpart chooses the breeding area and saves the female from other males by letting out chasing calls. After the copulation, the males quit the females. The females usually lay 6 to 10 eggs at a place wrapped in grass during the spring season. These species prefer to mate in the hilly parts of the tundra region where there are steep slopes, grasses and patchy herbs. In order to attract the females the males generally produces a rough sound. The females have a wonderful ability to recognize their desired partner with the help of this rough sound. According to the reports of IUCN, these species are in the category of less important in the endangered list.